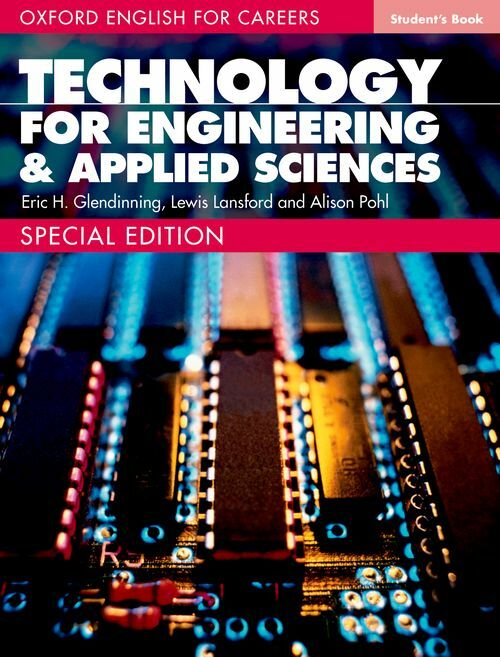 Oxford English for Careers - Special Edition Student book (Technology for Engineering & Applied Sciences) by Alison Pohl, Eric Glendinning, and Lewis Lansford on ELTBOOKS - 20% OFF! Technology for Engineering and Applied Sciences: Special Edition is a course for pre-work students taking technology-related courses, who will need to communicate accurately in English at work. Technology for Engineering and Applied Sciences: Special Edition is ideal for pre-work students studying at pre-intermediate to intermediate level, who will need to use English in work situations. The course develops the vocabulary, language, and skills that students will need in order to effectively solve problems in the workplace, discuss the latest technological innovations, and communicate clearly with non-specialists. This special edition combines selected units from Technology 1 and 2, in addition to 4 brand new units covering Mathematics, Biology, Chemistry, and Digital Technology. 4,600 円 3,680 円 ∼ 20% OFF!